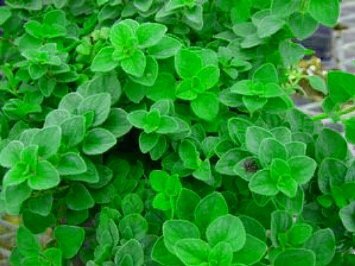 Hot and Spicy Oregano is true to its name; its especially pungent, which makes it a good choice for spicy Mexican dishes. Also commonly used in Italian and Greek dishes. Hot & Spicy Oregano has a nice round, mounding habit. Plant in full sun or part shade in well-drained soil. Pinch out flowers to promote more tender foliage. Best when used fresh, although Oregano dries well and retains much of its flavor. Grow inside or out. Hardy in zones 5-9.